It was a full week, and that means INSERTS! This week I used mostly the Project Life Jade Core Kit , which is now available on Amazon! Left Side: I really love Jake’s photo of Kit Bond Bridge, so I wanted to make a big layout to highlight it. I made sure to keep the layout simple, so that the focus really was on the photo. I usually just sort of grab the first papers or embellishments that will work for layouts, but I was much more careful with this one, going through a ton of patterned papers and selecting the one that did the most to enhance the photo. It’s an old paper, but you can still buy the full Basic Grey OBSCURE Collection Pack . It’s one of my favorite lines ever. I love the look of this title directly on the photo, but I’ll admit that doing it this way was a liiiiittle scary. I still could have saved it if I messed up, but I was still a little nervous. I always get that way with photo enlargements. To get this weird sized photo (it’s something like 8×12), I put it on a 12×12 canvas and added other photos in the leftover space by creating a collage. I had it printed, along with all of the other photos this week, at Persnickety Prints. The title is a combo of Studio Calico vellum, which I got from the Fold It In kit by rukristin, Kelly Purkey White Letter Stickers, a few old K & Company jewels, and triangles stamped directly on the photo with a stamp from the Studio Calico Summer Stamp set by Elise Blaha Cripe and cool metallic ink from this Tsukineko Planetarium pack . The journaling is Jake’s words and my handwriting. I love pulling journaling from blog posts. Insert 1, Front: Everyday stuff! I watched baby Ava for the day (this was before I started watching her most weekdays and was the first time I got to babysit her), cooked, went out to eat, met with friends, went to a birthday party, played outside, and painted flower pots. I’ve been doing a lot of cutting down Project Life Design A page protectors for inserts lately, and I mostly close up the open parts with washi tape or my sewing machine. For this one, I used staples, and that is a winner. Going to be doing that so much more. I just randomly listed out the stuff we did on a bi-fold card. That’s becoming a go-to for me. Insert 1, Back: My nephew Nathan’s birthday party. He and Jonas had a blast. A couple of random things to note for this spread: A lot of the journaling cards have room for noting the date on them. I didn’t need the date, so I covered it up with a little word sticker that says “buddies.” Covering up parts to make something work is one of the best ways to get the most out of your supplies. I accidentally cut that picture of Eliza too small for the pocket, so I cropped it down a little more and used a PL card as a mat for the photo. Insert 2, Front: My Project Real Life REDO Week 6. Insert 2, Back: The rest of PRL Week 6. Insert 3, Front: A soccer game and hanging out with Jake’s sister. This insert was cut down from Project Life Design D . The badge in the middle is from the Kelly Purkey Project Life Kit, which I’m excited to use more heavily once I have my first June pictures. I’m loving punching circles from PL journaling cards in order to get more journaling in the negative space of photos. Insert 3, Back: Celebrating mother’s day with Jake’s step-mom (we celebrated with my step-mom the week after). And Eliza is gorgeous. Right Side: All of our fun Mother’s Day photos with our moms and siblings. Funny family action photos are my favorite. We should do it more. P.S. I skipped week 18 for now, because I accidentally missed ordering a few photos for it. Ooops. Studio Calico vellum, Amy Tangerine 6 x 6-Inch Sketchbook Pad , Basic Grey OBSCURE Collection Pack , Studio Calico Moments Cards, Studio Calico Project Life Card Grab Bag, Becky Higgins Project Real Life cards; Embellishments: Yellow & Gray Decorative Tape Set by My Mind’s Eye , Dear Lizzy Charm Bits Sticker Book, Kelly Purkey Project Life Kit, Amy Tangerine Baxter Pink/Yellow Letter Stickers , Kelly Purkey White Letter Stickers, American Crafts Flower Sticker, K and Company jewels, Love Elise for KI Memories Sticker, Ribbon; Stamps: Studio Calico Summer Stamp by Elise Blaha Cripe; Ink: Tsukineko 4-Pack Brilliance Dew Drop Inkpads, Planetarium ; Pen: EK Success Zig Memory System Millennium 0.1-Millimeter Marker , EK Success Zig Memory System Millennium 0.8-mm Marker ; Page Protectors: Project Life Design A ,Project Life Design D , Project Life 12 x 12 , We R Memory Keepers Multi Pack ; Adhesive: Scor-Tape , Scotch Dot Roller , EK Success 3-D Dots ; Printing Service: Persnickety Prints; Tools: EK Success Paper Shapers 1-1/2-Inch Circle Nesting Punch , We R Memory Keepers Corner Chomper ,Neon Omnigrip No Slip Ruler 6 x 12 Inches, EK Success Honey Bee Non-Stick Craft Scissors , Tonic Studios Guillotine Paper Trimmer , Stapler. Affiliate links used where possible. Purchasing anything, even items other than the linked item, through these links supports the Nerd Nest! Items that are not linked are no longer in production or are not available online. For all posts tagged Project Life, click here. Project Life is a memory keeping concept created by Becky Higgins. It can be anything you want it to be. 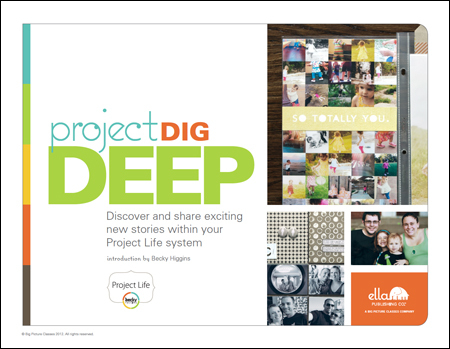 Check out Project Dig Deep , an ebook in which I and six other avid scrapbookers dive deep into the Project Life system, revealing seven amazing strategies that could revolutionize the way you approach Project Life! Foreword by Becky Higgins. The other awesome contributors are Kam Altar, Melanie Britt, Elise Blaha Cripe, Annette Haring, Amy T. Schubert, and Jessica Turner. For more Project Life inspiration, join the free Big Picture Classes Project Life Community and Jessica Turner’s Project Life Tuesday link-up. Ugh. Why am I so scared to start PL? Do I just jump right in? 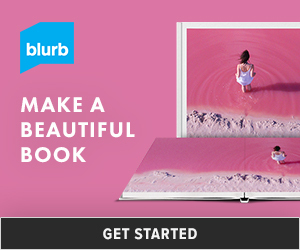 I’ve been a traditional scrapbooker with a bit of weird thrown in for a long time, so I think it will be weird at first, but it looks so easy and so much less time consuming, and I won’t be stuck with stacks of pictures that aren’t documented. I have some page protectors that I bought several years ago from a stamp company; they are divided and they look a lot like PL pages. So, advice? Do I just jump right in? Could I use lots of other cards and things besides the core kits, like Cosmo Cricket and October Afternoon? I have a ton of theirs. And maybe start small with what I order of PL? I say jump right in! if the weekly format is intimidating, you could always just make traditional pages for the photos you love the most and use the pocketed page protectors to slip photos in with a bit of journaling for everything else in whatever order makes sense to you. I’d just try to start using the divided protectors you already have! That’s how I started; in 2012 I used mostly We R Memory Keepers protectors and my stash, because it’s what I had. Now I totally love using kits, mostly because the journaling cards are way faster for me than searching for a paper with a pattern light enough to write on. I would jump right in like RIGHT NOW. I know that just getting started can be intimidating, but waiting on components can give you excuses not to start, and it sounds like you have everything you need! Make a few spreads, and then if you like it, then start buying more stuff. I’d definitely recommend limiting what you buy at first: more stuff can slow you down and overwhelm you. I’d start simple and then get fancier as you start to feel more comfortable. Of course, this project is whatever you want it to be, so feel free to throw any of my advice out of the window! These are just recommendations based on my own experience and the struggles and successes I’ve heard about from others. Alright! I think I will do just that. I’ve taken over the coffee table, found the page protectors I have already, and got some things cut for journaling. Here we go!